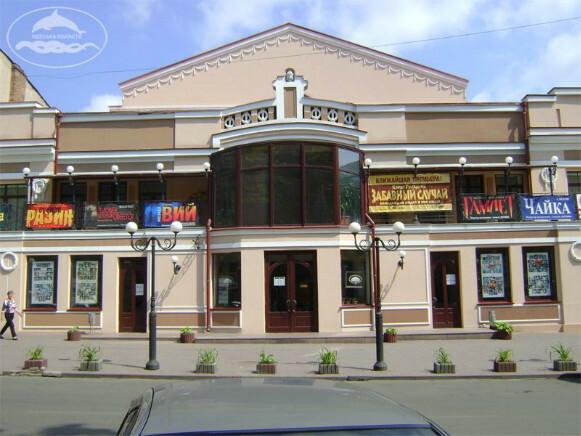 Odesa Academic Russian Drama Theater (Одеський академічний російський драматичний театр ім. А. Іванова; Odeskyi akademichnyi rosiiskyi dramatychnyi teatr im. A. Ivanova). A theater established in 1926, it did not function during the Second World War, and renewed its activity in 1945. In 2009 it was granted an academic theater status. Its Ukrainian repertoire has been limited to Ivan Karpenko-Kary's Zhyteis’ke more (The Sea of Life) and Oleksander Korniichuk's plays, including Platon Krechet and Bohdan Khmel’nyts’kyi; it mainly stages Russian classical and Soviet works, as well as world classics.